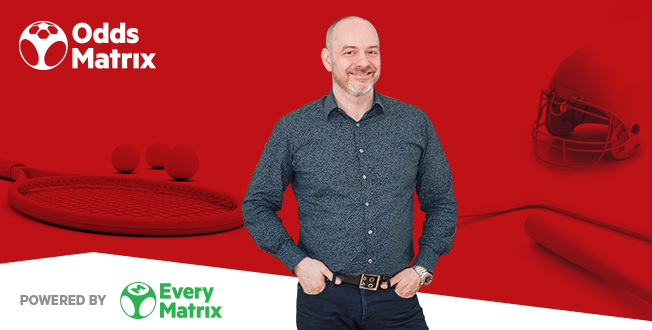 SBC News caught up with EveryMatrix CEO Ebbe Groes, who shared his excitement over the company’s new sports betting offering, including the OddsMatrix Aggregator and the “time-tested” OddsMatrix Sports Data Feeds. 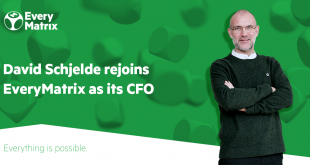 This also includes a set of new sportsbook additions for EveryMatrix to ‘pitch’ in 2019 – starting at next week’s ICE exhibition – such as a Web API that allows clients to build a front-end from scratch, a standalone bonusing component that can be delivered to those not using the full platform, and monthly coverage of more than 1,200 esports events. SBC: Ebbe, thank you for talking to us. A new year for betting, and one in which the industry will inevitably become more data-centric and technology-sophisticated; how is EveryMatrix adapting to the increasing demands? EG: Leveraging data and technology is more decisive than ever for an operator’s long-term success and profitability. The sports betting business is indeed data-centric itself and is evolving at the same fast pace as technology. There are many providers with the necessary infrastructure, technology, and software platforms to handle day-to-day operations, however, ambitious operators are always on the hunt for boosting coverage, ensuring automatic failover, minimising bet suspension time and maximising betting margins and profits. It’s almost impossible to remain in this competitive market without a high degree of automation and a vast collection of data sources. Our newly launched product, OddsMatrix Aggregator, caters precisely to this specific demand. It is a unique sports aggregation technology which allows sportsbook operators to combine odds, settlement, score feeds from multiple providers into a single aggregated feed, all processed in real-time. Moreover, operators can set priority between providers in an easy-to-use interface and at an arbitrary fine granularity, down to a specific sport or market level. This allows operators to easily add new sources with zero development cost and fast turnaround, with everything handled by OddsMatrix, and then test how much each added source can contribute and compare with existing sources. SBC: Which other elements of your sports offering are you most excited about for this year? EG: OddsMatrix is already a strong brand on the market and we have many new things to pitch, besides the Aggregator, all very exciting for me. We’ve always prided ourselves on having a very strong selection of events on offer, in particular for live betting, but with our OddsMatrix Sportsbook, we’ve increased our ability to easily add new betting markets and sports. This shows now in our increased live offering (reaching 35,000 events in peak) but also in our recent breakthrough of esports betting, where we already have a dozen of esports disciplines available with many more to come. All sports and esports we cover are part of the OddsMatrix Data Feeds, a complete and time-tested solution for delivering betting odds, scores, and real-time settlement. Other two key areas where we are particularly strong is on API and bonusing. For API, we’ve developed and extensively tested a Web API allowing clients to build their own front end from scratch, rather than getting a customised template from us. This gives unprecedented and much-needed freedom to our customers. We already have two clients live with their own front-end, one a web front-end, another a mobile app, and a third now under development. For bonusing, we’ve taken another extraordinary step and completely separated bonusing from the gaming product and the platform wallet into a standalone component covering and combining sports and casino. We have a dedicated team only for this and have achieved great agility and productivity in terms of new features by doing this separation. 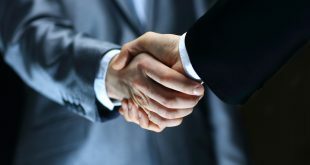 In 2019, we will see bonus capability delivered to clients not on our platform. SBC: How can your API service all the components of betting’s complex value chain – i.e. pricing, odds compilation, operations, data, insights and settlement? EG: The key reason is that our application itself is split into modules, themselves interacting via APIs. This structure allowed us to e.g. take the Aggregator out and market separately. Overall, we have many specialised API and granular methods and topics that permit precise data queries. The API allows you to both query data and to subscribe to updates of data e.g., query for all markets for a specific event and then get push notification for all odds changes for that event or query for all matches for a league and get push notifications for matches added or removed. This allows for a true real-time front-end experience with minimal data transmission between the server and front-end application. SBC: How much control does the OddsMatrix sportsbook allow for in terms of module development, front-end design and third-party integrations? EG: Thanks to being API Driven, OddsMatrix offers unprecedented flexibility and can be easily integrated with existing platforms. Furthermore, we offer full control over the front-end design and functionality to operators because we understand the need to tailor the user experience according to the needs of the target market and player base. This gives unprecedented freedom to innovate for our customers. 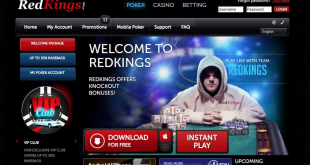 It’s been a massive success for our casino product where most of our top clients fully control the front-end and now we are aiming to repeat this for our sportsbook. SBC: Finally, which technology trend do you think will dominate the industry agenda in 2019? EG: Sports betting is a big business and getting bigger while being disrupted by technology advancements and, of course, regulatory changes worldwide. For technology, I believe that we will gradually see monolith sportsbooks being broken up, allowing access to third-party specialists to deliver for instance player risk profiling, odds modelling, or as we do, data aggregation. I also see more sophisticated business intelligence being at the convergence of sports and technology, driving the next-generation of punters, empowering a data-driven sports culture with fan-centric offerings and social betting. Finally, I’ll put some money on the individualised front-ends. Offer the tools and technology and step aside while letting operators design and build, and we will see ways of sports betting vastly different from what everyone offers today. Our API is still first generation, albeit in production for more than 18 months by now, and it will surely improve further, making it even easier to build front end from scratch.